So last week you had to get up early and now your on holiday and you want to sleep through with out the alarm on your Samsung Galaxy S2 going off and waking you up, but you don't know how to delete the thing. We start this process back at the "Alarm" screen (which you find when you click on the "Clock" application). 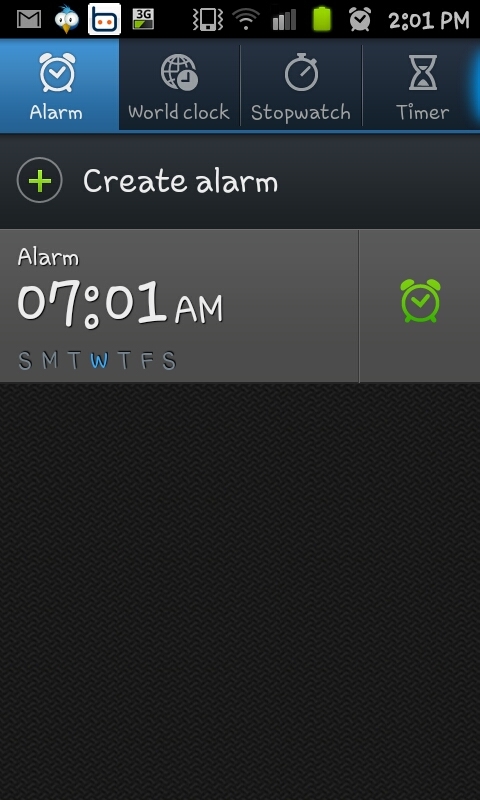 Whilst here you need to find the actual alarm you want to delete. For this example we've only got a single alarm set so we don't need to scroll through alarms to find the "offending" one. When you find the alarm you want you need to hold your finger on the alarm until you see the small drop contextual menu you can see on the screen shot on the left hand side of this paragraph. 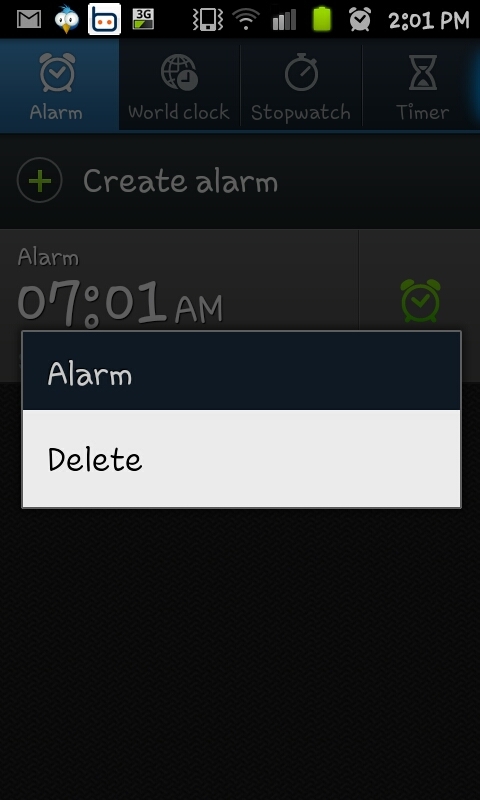 After you press delete you will see alarm is gone and you'll not be woken up by it again. Of course if you want to re-create the alarm perhaps when a holiday has finished then you go through the usual steps to create an alarm. Thank you. It has annoyed me for years!